I first enquired about the franchise in February, and am now on my fourth week of class sessions! This was a massive career change for me, and with my eldest son starting school in September I wanted to change my life for the better. I had a career in sales that I had been proud of, but it was getting harder and harder to continue with the job as a working mummy. My main priority was and still is caring for my two young sons, too many times this was being compromised, and I was under a lot of pressure from the company I worked for. I had also become disillusioned with the sector I was in, and wanted to do something that I felt was much more satisfying to the soul, and as I am a creative person, business minded and wanted to work with little people, a Little Squigglers Franchise seemed like the perfect option! I feel like I have definitely made the right decision, and I am thoroughly enjoying my new venture. It feels empowering to take control of your life and make a big change, and I have no regrets at all about my decision. It is hard work, and you have to be dedicated to the business, especially whilst you are building the business up. A good support network is essential, I am very lucky to have a very supportive Husband and close family. 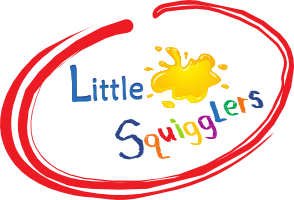 The nice thing is that I can fit the business around my family, and even though it is a franchise, Little Squigglers is very much my own business, and has become a happy part of my family life. My two sons really enjoy helping me prepare the crafts for each weeks classes! 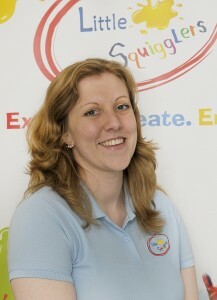 I feel passionate about the Little Squigglers brand and very proud to be a part of it. When you purchase the franchise, everything is ready for you to get started, from the start up package to the very comprehensive manual to the brilliant hands on training! 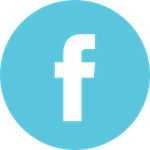 There is a great deal of support from Head Office and there is also a great support network within the rest of the Little Squigglers franchise team. The best thing about it for me is how varied it is. There’s no opportunity to get bored. I’m discovering new skills I never knew I had. It’s been hard work and it’s still early days but I’m really enjoying it and I have no regrets at all about starting my own Little Squigglers franchise. I feel genuinely lucky that I’m able to do something that ticks all the boxes for me and provides so much joy to all the little squigglers I’m meeting along the way. 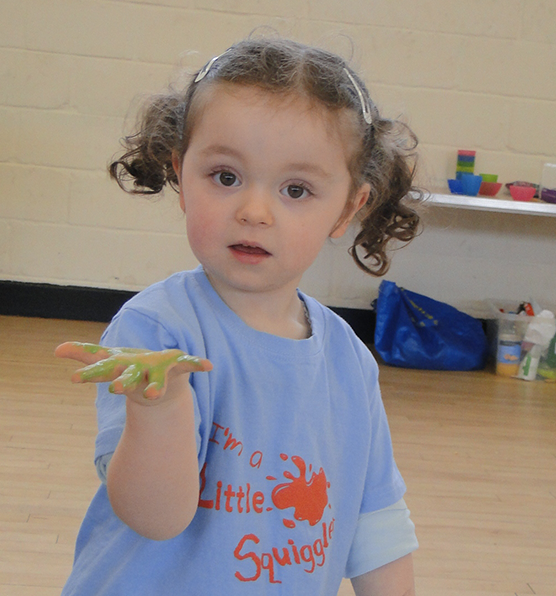 My first experience of ‘Little Squigglers’ was when I took my then 3 year old to the very first class. 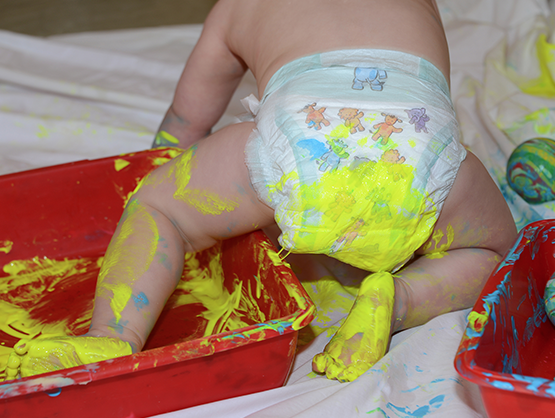 From the word go I knew that the class was fun, engaging and perfect for those parents who love their children to get creative, explore, make mess but most of all have fun exploring using their different senses, without the worry of having to clear up after them. Four years on and now I am very proud to say that I now run classes, birthday parties, workshops, holiday clubs and after school clubs in the West Suffolk area. The opportunity to take over the West Suffolk franchise was not a decision I took lightly and with a young family to look after and support was it the best decision I could make for them? The answer is most definitely ‘yes’. My oldest daughter only said to me yesterday ‘Mummy you love your job don’t you, and I love Little Squigglers too’. Nothing makes me happier knowing that my family are behind me 100% as I embark on this amazing journey. I am currently one month in running my own business and I cannot be happier. The whole process from the very in depth and informative training with Amanda to setting up and holding my first class couldn’t have been smoother. 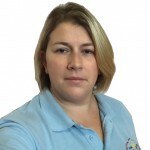 Amanda is always available to answer any questions or queries and knowing you have that extra bit of back up support makes me feel more confident. Being a Mum of two young girls and with my background in Primary School teaching over the last 10 years, I am fully aware of the importance of effective communication and independent learning through play. 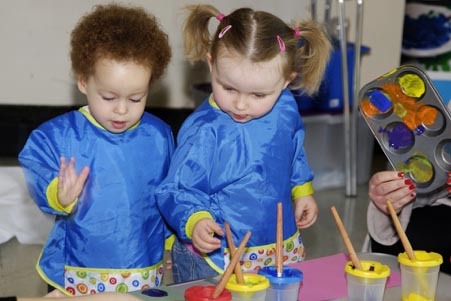 Little Squigglers classes offers both of these areas in abundance. Being able to provide these opportunities for young children and their parents where they actively work together, explore, create and get messy whilst seeing the smiles on the faces of the children at every class makes me love my job every day. Running your own business and being your own boss is a fantastic opportunity but it does involve hard work and dedication. I am fully aware that being part of a network of franchises, every time I speak to a customer, deal with a new enquiry etc I am representing the brand of ‘Little Squigglers’ along with representing myself. My working day does not begin and end when my classes start and finish. Preparing the class resources, managing the finances, organising my diary, advertising and more is part and parcel to ensuring Little Squigglers West Suffolk continues to be successful. Setting a weekly routine is paramount to helping me keep on top of things. My daughters love to help me make the playdough, paint and create examples of work for classes and also get all gloopy and gungy, so when doing this together, work is so much fun. The franchise package provided me with all the essentials that I needed to plan and prepare for my first term of classes. My garage has been transformed ‘Little Squiggler style’ and every time I go to load my car for the next day’s class, I know that everything I need is there, as well as that all important piece of sparkly glitter that appears from nowhere, but always finds its place on my cheek! I have just booked and am now preparing for my first two birthday parties which I am extremely excited about. Knowing that I will be part of a child’s most important day of their year makes me feel very privileged. Parties from ‘Minions, superheroes and Fairies’, no request is over looked and to be able to provide the opportunities for messy, creative birthday fun is fabulous. So, as I embark into my second month of running Little Squigglers West Suffolk, I can honestly say I have never been happier. I go to work with a smile on my face and look forward to meeting all the new ‘Little Squigglers’ who join me in exploring, creating and having fun.  Sister in Laws, Sarah Sign and Natalie Rawlings made the decision to start a Little Squigglers business together. Both had young children and were looking for something to help them achieve a better work life balance. Natalie had a teaching background, whilst Sarah came from a customer service background, so they were the perfect complement to each other. By working together they could share the work load and stresses of being business owners with each other. Half the work and twice the fun! Sarah and Natalie where keen to get started very quickly, they made their initial contact in Sept, trained in the November and started trading in the January. “Little Squigglers Southampton LTD wanted a quick start way to get into the franchise and we managed it! 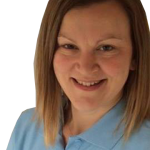 Amanda was so helpful in getting us organised, trained and up to speed with everything we needed to do and know about running a parent and toddler group and how to do to the “Squiggler” way. We were all in constant communication and nothing was too much trouble. Any issues or concerns were raised and dealt with effectively. All our kit arrived promptly and we felt confident from the off with little room left for mistakes. “Little Squigglers Southampton Ltd wanted a quick start way to get into the Franchise and we managed it!! Amanda was so helpful in getting us organised, trained and up to speed with everything we needed to do and know about running a parent and toddler group and how to do it the “Squigglers” way.